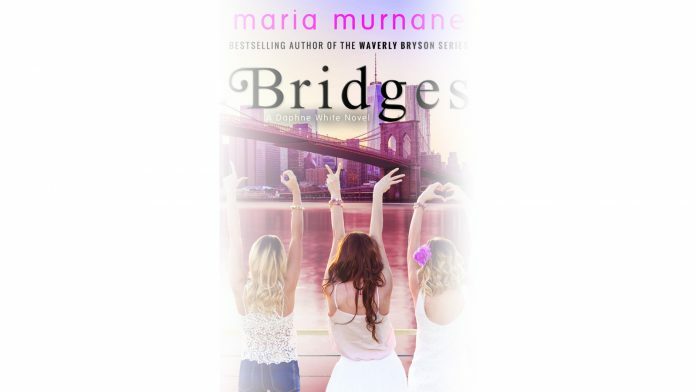 If you’re looking for your next great read, check out the book Bridges by Maria Murnane. Murnane is the bestselling author of the Waverly Bryson series. Her latest title Bridges: A Daphne White Novel. It’s the perfect read to hunker down with on a warm, sandy beach or get you through the flight to your vacation destination! What Daphne doesn’t know is she’s not the only one with a secret. Skylar and their friend KC are also holding something back, but what? As the trip unfolds, the truth about each woman emerges, along with tears. And laughter. And love. The fun-loving trio readers fell for in Wait for the Rain is together once more. Here’s to the power of friendship! Maria Murnane is a former PR executive who abandoned a successful career to pursue a more fulfilling life. She headed to Argentine where she spent a year playing semi-pro soccer, during which time, she wrote Perfect on Paper.To prove them wrong, Maria self-published and implemented a creative, grassroots marketing campaign. Within a year, Perfect on Paper attracted the attention of senior executives at Amazon, who chose it out of more than 10,000 self-published titles for the company’s venture into traditional publishing. They offered Maria a contract, and a year later, Perfect on Paper reached #2 overall on Amazon! Maria has been invited to speak at several conferences (Harvard Women’s Leadership Conference, Massachusetts Conference for Women, Texas Conference for Women) and has been featured in Huff Post, USA Today, Publishers Weekly, Entrepreneur, Shape, and PopSugar.She was a Regents’ and Chancellor’s Scholar at UC Berkeley, where she graduated with high honors in English and Spanish and was an Alumni Scholar. She also received a master’s degree in integrated marketing communications from Northwestern University. She currently lives in Brooklyn and plays soccer four times a week.